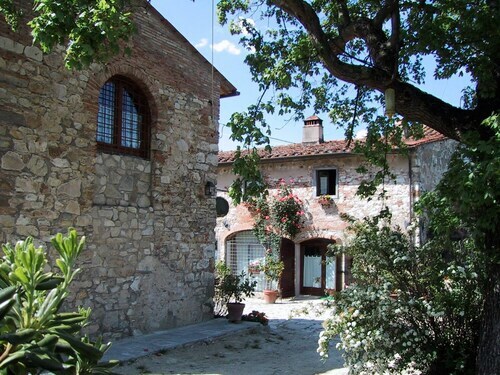 Situated in Rignano sull'Arno, this farm stay is 0.1 mi (0.1 km) from Valdarno and within 12 mi (20 km) of The Mall Luxury Outlet and Castello di Nipozzano. ObiHall is 11.3 mi (18.3 km) away. 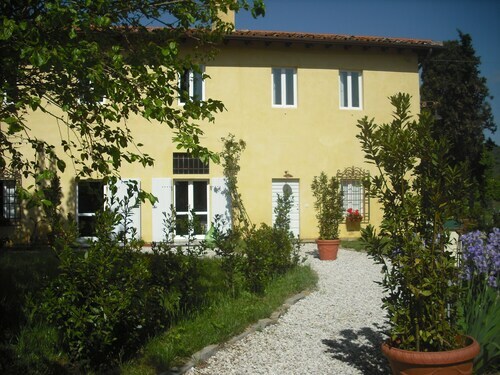 This family-friendly Rignano sull'Arno apartment building is within 3 mi (5 km) of Valdarno and The Mall Luxury Outlet. Franciscan Monastery of St. Francis and Castello di Nipozzano are also within 9 mi (15 km). Situated in a rural location, this farm stay is 1.1 mi (1.8 km) from Valdarno and within 9 mi (15 km) of The Mall Luxury Outlet and Castello di Nipozzano. Villa Gamberaia and Vincigliata Castle are also within 9 mi (15 km). 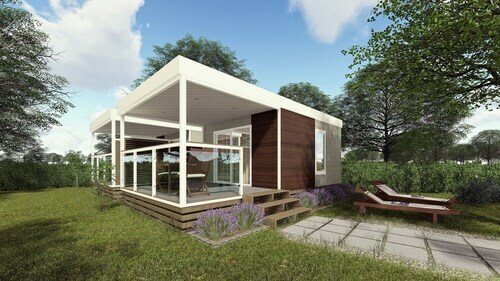 Located in Rignano sull'Arno, this family-friendly campground is 0.1 mi (0.1 km) from Valdarno, and within 12 mi (20 km) of The Mall Luxury Outlet and ObiHall. Galileo Museum - Institute and Museum of the History of Science and National Archaeological Museum are also within 12 mi (20 km). 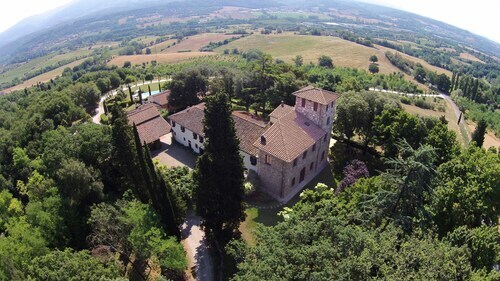 Situated in the historical district, this luxury farm stay is 0.1 mi (0.1 km) from Valdarno and within 12 mi (20 km) of The Mall Luxury Outlet and Castello di Nipozzano. ObiHall is 11.1 mi (17.9 km) away. How Much is a Hotel Room in Rignano sull'Arno? Hotels in Rignano sull'Arno start at $46 per night. Prices and availability subject to change. Additional terms may apply. If you are trying to decide where to base yourself as you roam Rignano sull'Arno, Travelocity features a wide range of ideal options. Get excited exploring the 44 accommodation options on Travelocity, which can all be found within a 6-mile (10-kilometer) radius of the heart of the city. For the times when you and your family are wanting to book accommodation that's within 2 miles (3 kilometers) from the Rignano sull'Arno city center, Agriturismo Fattoria di Castiglionchio and Villa Luigi should fit the bill. One of the small number of no-frills accommodations in Rignano sull'Arno is the Agriturismo Fattoria di Castiglionchio. 8 miles (13 kilometers) outside of the main part of Rignano sull'Arno, you will come across the Four Seasons Hotel Firenze. Alternatively, the The St. Regis Florence is situated 9 miles (15 kilometers) away. The J.K. Place Firenze and the Villa La Massa are alternative accommodation options worth checking out around Rignano sull'Arno. Should you have the time, adventurous explorers could discover the sights of the Tuscany region. Lovers of the great outdoors will appreciate Tuscany's rural landscapes, beaches and coastal plains. In addition, you should spend time at the region's ruins. Adventurous visitors may take part in snowboarding in the region. 9 miles (14 kilometers) away from Rignano sull'Arno, you can find Impruneta, where you can visit World War II Florence American Cemetery and Memorial and Piazza Garibaldi. A few Impruneta accommodations include the Borgo Bottaia and Country Relais Villa l'Olmo. 20 miles (33 kilometers) to the southwest of Rignano sull'Arno, you may also choose to stay at Sant'Appiano, home to the Castello del Nero Hotel & Spa and Relais Borgo Petrognano. If you're staying in Sant'Appiano, it's worth visiting the Sant'Appiano Antiquarium and Sant'Appiano Parish Church. If you are curious about sport and adore watching thrilling clashes you might choose to take a trip to Stadio Artemio Franchi, which is 8 miles (12 kilometers) to the northwest of Rignano sull'Arno. Visitors who are interested in booking a bed close by, reserve a room in the The Westin Excelsior, Florence or Il Salviatino. Peretola Airport is a major gateway for those flying to Rignano sull'Arno. It can be found 12 miles (19 kilometers) from downtown. For travelers who would prefer to stay in Travelocity-listed accommodation nearby, try the Torre di Bellosguardo or Sina Villa Medici. Badia A Corte 15 Sleeps, Villa With Private Pool at Exclusive Use!